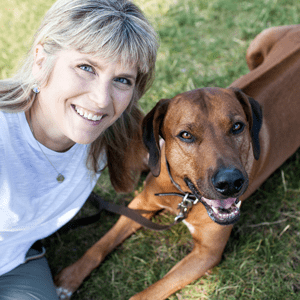 The Dog Trainer Professional program is for the highly motivated trainer who has specific goals for improving knowledge, skills, and career prospects. The course blends online learning with hands-on instruction from some of the best teachers in the field. Our 6-month Dog Trainer Professional program is for the highly motivated dog trainer who is looking to advance his/her skills and career prospects to their highest levels. The program combines online learning with hands-on instruction and is divided into four online Units and four two-day hands-on workshops; complete an online Unit and then attend a two-day workshop at the end of each Unit. Dog Trainer Professional program: $5,300. Find out more about interest-free loans.